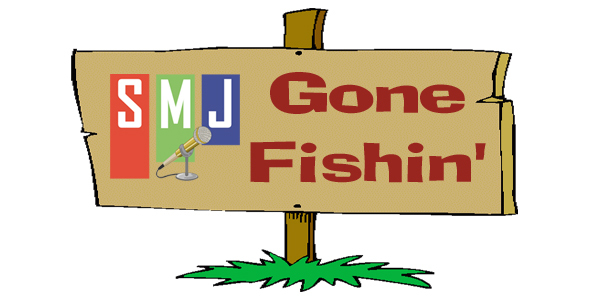 The offices of Sports Media Journal will be closed until July 1st as the staff enjoys a much needed vacation. There will be no content posted on the site and there will be no Sports Media Weekly program this coming week. See you on July 1st. Thank you for your support! NBA TV will provide coverage of Game Five of the first round NBA Playoff series between the Indiana Pacers and the Atlanta Hawks. Once again NBC Sports will provide a plentiful slate of hockey action. NBC Sports Network will have double header action tomorrow while NBC has its game Sunday afternoon. Posted in The Rest and tagged NBC Sports, NHL on February 26, 2013 by keithsmj. The MLB Network has unveiled a schedule of 150 spring training games from Florida and Arizona. MLB Network will also again originate from every Spring Training site as part of its 30 Clubs in 30 Days program. The program begins tomorrow. Posted in The Rest and tagged MLB Network, Spring Training 2013 on February 14, 2013 by keithsmj. Even though they do not have the television rights to the Daytona 500, ESPN will be providing blanket coverage of the activities around at the Daytona Motor Speedway. ESPN will be producing its NASCAR Now program from Daytona throughout the period. ESPN will also have coverage of the Nationwide Series race from Daytona on February 23rd at Noon ET. Allen Bestwicxk will call the race with Dale Jarrett and Andy Petrie. Dave Burns, Jamie Little, Dr. Jerry Punch and Vince Welch will report from the pits. Nicole Briscoe, Rusty Wallace, Ray Evernham, and Brad Daugherty will handle pre and post race duties. Posted in The Rest on February 12, 2013 by keithsmj. Tennis’ first major is on the horizon and the Tennis Channel will provide 30 hours of live match telecasts during the two-week tournament again this year, with more than 180 hours of dedicated tournament coverage overall. Among the programming will be a daily highlight and encore-match show called Australian Open Today. This year’s version will feature two daily editions, one dedicated to the tournament’s most recent day session and one to the most recent night session. Lindsay Davenport will lend her championship perspective to Tennis Channel’s booth while Rennae Stubbs will handle specials reports and vignettes. Sports Illustrated reporter Jon Wertheim will also appear on the network in Melbourne this year. Posted in The Rest on January 7, 2013 by keithsmj.